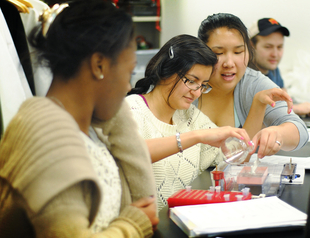 The University of Maryland is one of 37 research universities in the nation to receive a share of $60 million for undergraduate science education from the Howard Hughes Medical Institute (HHMI). UMD’s five-year, $1.2 million grant marks the sixth time since 1992 the university has received the highly competitive award. 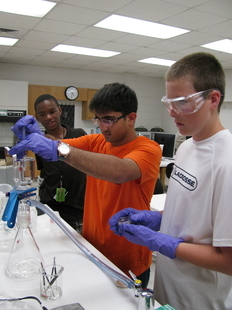 The College of Computer, Mathematical, and Natural Sciences (CMNS) will use the grant to establish a new living-learning program for students in the biological and chemical sciences, create opportunities for students to engage in research during their first semesters, and support mentoring programs for students. “HHMI’s continued investment in our science education initiatives for over 20 years has been a catalyst for progressive and lasting change in undergraduate science education and outreach at this university,” said Mary Ann Rankin, UMD’s provost and senior vice president. The new living-learning program will include a common residence hall with integrated academic support, community-building activities such as field trips to local research laboratories, co-enrollment in introductory science courses and early access to research opportunities. This new program will join five other CMNS-sponsored living-learning programs—three in College Park Scholars and two in the Honors College. “Our existing programs provide a solid foundation on which to build these new initiatives, which focus on supporting and retaining students who may be at risk of abandoning careers in the biological and chemical sciences,” said Katerina Thompson, CMNS director of undergraduate research and internship programs.